Plumbing issues can pose many inconveniences and even lead to costly water damage. That’s why it’s so important to find a plumber who can address problems quickly and efficiently. With so many choices, it’s essential to keep some factors in mind when attempting to narrow down your options. Proof of licensing is required in most states. This documentation means a person met certain standards of education and training, and that they have legal rights to offer professional plumbing services. More importantly, they are held accountable to a governing board. These individuals possess the skills and knowledge needed to complete jobs successfully. 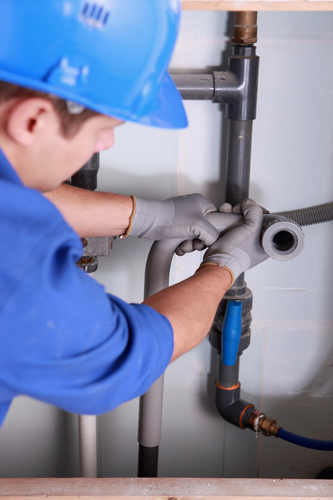 You want to secure a seasoned plumbing repair and maintenance company. To achieve this, inquire on a candidate’s track record catering to your specific needs. A lengthy history in the business is also an excellent sign, as chances are they’ve encountered a wide range of plumbing issues over the years. It’s important to get a written estimate of the proposed work before the project begins. This way, there won’t be any hidden fees. Be sure any paperwork you sign contains the full financial picture and outlines the complete scope of the project. References play an important role when you’re searching for a qualified professional to perform home repairs or renovations—plumbing is no exception. Ask candidates if they can provide you with a few contacts. These individuals can answer important questions about how well the company handled the project and whether there were any hiccups along the way. A warranty is crucial for a plumbing repair job. The work should be guaranteed so that if a problem does arise it will be covered. Find out more about the contents of the warranty. Does it include both labor and parts? Some only cover for specific periods. By seeking a few key qualities in a plumbing professional, you can feel confident you’re working with a competent provider. The Ontario, NY, community turns to John Lockwood Plumbing for all of its home and business needs. Since 1972, the company has provided outstanding services. Whether you require a repair or an inspection, you can rely on this licensed, family-run business to handle the job from start to finish. Visit the company’s website to learn more about their offerings, which range from basic maintenance to complete water line installation. You can also call (585) 265-0736.